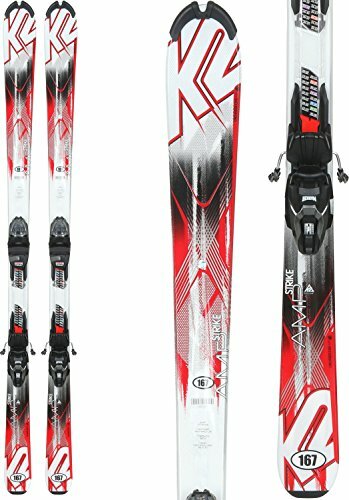 How to choose the correct ski length? I have been skiing my entire life. My skis have granted me freedom and independence like nothing else could have. I will never forget the first time I raced on behalf of Great Britain and am eternally grateful for the opportunity to ‘don my GB kit and ski as fast as I could through the gates. This is the feeling that most skiers dream about and after the Sochi games two years ago, everyone is obsessed with becoming the next Ted Ligety. The first step is buying a pair of skis and Winter Badass has the best all-mountain skis for men ranked, reviewed and ready to ski. If these three questions are appropriately answered, you are ready to advance to buying a pair of all-mountain skis.However, before buying a pair, it is vital to consider, what experts call, the secret troika. Do you have a real need or want for a pair of your own skis, how much do you plan on spending on your babies-for-the-season and what does a perfect set of skis look like? Before buying though, it is crucial that any buyer has a basic knowledge of skis – if you already know about sidecuts, length, and stiffness, it may be advisable to head straight to the rankings. But if you have absolutely no idea what they are, don’t worry. The concepts may seem complex but are easy to grasp when explained properly. Deciding how long your skis should be is a very rough science. Forget about the measuring-tape, there is a little cheat in the ski world to help judge the perfect ski length for any skier. 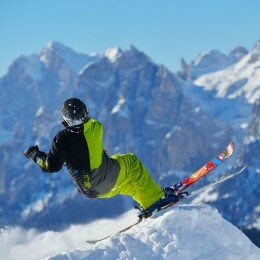 If the skis are taller than the skier’s nose, it is too long, if it is below their nose, it is too short. The optimal ski length, to maximize performance, safety, balance, and enjoyment is when a ski’s tip is about as tall as the skier’s nose – when the ski is upright. That’s not to say if an advanced skier has found their sweet-spot they should deviate from their preference. A ski’s sidecut will severely impact how it runs. But what exactly is sidecut? Plainly, a ski’s sidecut is just how wide it is, usually measured in millimeters. If a ski has a big sidecut it will be better accustomed to skiing on powder and softer snow, as opposed to sheet ice or groomers. Whereas, if it is thinner, the ski will be designed to perform optimally on groomers and on harder snow. 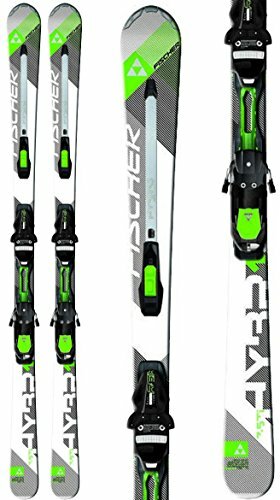 Furthermore, the thinner the skis are, usually, the lighter they will be; this is important as lightness increases versatility but is a tell-tale sign of a softer ski. Ski stiffness can make or break a ski. The stiffer a ski is, the harder it will be to turn and the more physical effort required to turn said ski. The general rule of thumb is, the stiffness of a ski should directly correlate to a skier’s ability, size, and weight. This is to allow more advanced skiers to accelerate throughout the turn. Although sometimes overlooked, the final and, arguably, most important factor when buying a ski is cost. We aren’t all millionaires unfortunately and in the ski world, everyone gets what they pay for, there are no free rides. 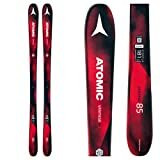 The easiest way to buy a ski, without breaking the bank – if you are as easily tempted as me and happen to have 13 pairs of skis – is to set a budget. Alas, that isn’t the difficult part; that would be sticking to it. This year, 2017, is looking to be a great year for ski design with some of the best all-mountain skis for men I have ever seen in my 12 years on snow and we have ranked our favorite ten for all you guys who love your all-mountain skis. These skis have been on the market longer than Bode has! At 98mm underfoot they ride powder as if it were clouds. Most at home in powder and off-piste, these wide all-mountain skis will take you anywhere! They are one of the most reliable, powerful and playful skis on the market. Perfect in a GS-size turn thanks to a 15.8m turning radius, I am yet to find a skier who cannot fall in love with the Mantras. Rather similar to the Mantras in that they have been around a while, as a matter of fact, their design was so popular Volkl didn’t even change it this year. At 89mm underfoot they will carve on the groomers and float like air in powder, thanks to some great tip rocker. Great when off-piste. They carve like demons! Probably due to their full sidewall construction and the metal plate to help drive through the turn, meaning even advanced skiers can really make the most of the Mantras. 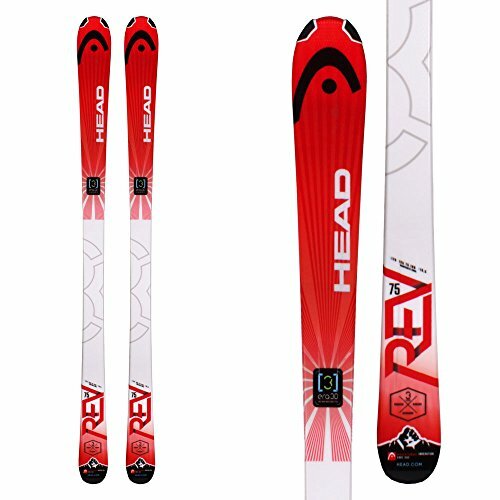 Ideal for the intermediate to advanced skier, thanks to what Head call, Era 3.0 rocker/camber design. Essentially, Head have mixed camber and rocker to allow the Revs to float over soft snow but still have great grip. The traditional camber will lead to progressive edge angles for any skier. 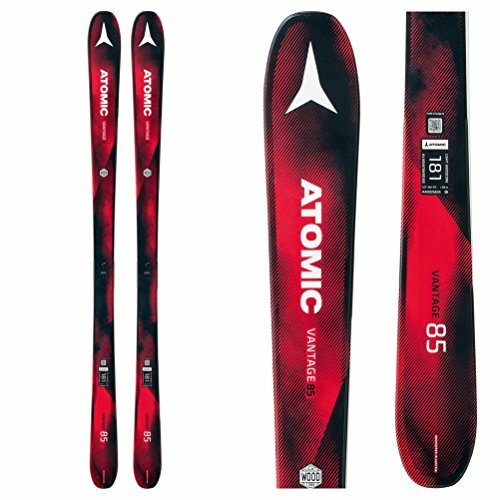 At 75mm underfoot, this ski is as good in powder as on hard-pack. A nippy ski, which snaps out of turns and lives for short slalom turns, due to a turning radius of 13.5m. 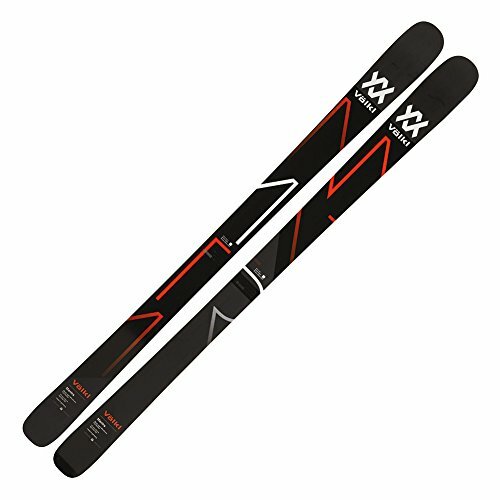 At 115mm underfoot, the S7 may be best in powder but is extremely versatile considering it is practically a powder ski. With power turn rocker, high tip and tail rocker with traditional camber underfoot, the Rossi will carve nicely and glide effortlessly over powder – in part due to its lightweight construction. A wood fiberglass core reduces the overall weight of the ski and a spoon tip decreased twitching when in powder. 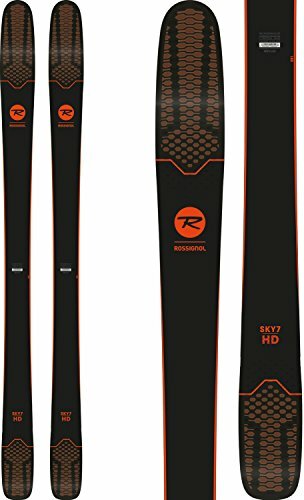 The Rossignol S7 is one of the most playful skis ever made! A beginner to intermediate ski that is inordinately stable at slow speeds. 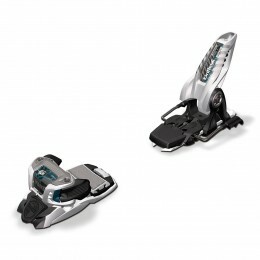 At 74mm underfoot and with a turning radius of 16m, they are nimble and stable wherever they are skied. An all-mountain carving ski, ideal for everyday use – if out for the season. With what K2 call catch free rocker – slight rocker in the tip, but otherwise camber – they are stable, sturdy and can be driven through turns. A box tail makes transitions effortless and a lightweight tip, combined with the catch free rocker, makes the K2s a nice groomer-orientated ski in powder. The total all-rounder! Another member of the Old Guard, with full wood core construction and tip and tail rocker they are built to perform well in all conditions – due in part to them being 107mm underfoot. Although the Gotamas may seem like a powder ski, due to a full sidewall construction they carve surprisingly well on groomers. The Gotamas are a poppy, fun and easy ski, all over the mountain! At 98mm underfoot and with a 22m turning radius, the Annex 98s will take you anywhere. Thanks to their soft flex and tapered tip and tail they are versatile and playful. With a mix of rocker and camber, they are ideal for skiing in any condition Mother Nature can throw at you. Although best on softer snow, due to being 95mm underfoot, the Theory skis are versatile and will adapt to any conditions they have to. With a turning radius of 19.9m and a hybrid sidewall construct, the Theory skis are not as soft as some other powder/all-mountain composites. They have a carbon backbone to stiffen the ski and allow advanced skiers to drive them through turns. The Theory skis are a fun, stable and versatile ski, best suited for heavier intermediate or advanced skiers. From the moment I first took a slide on these magnificent skis I fell in love. 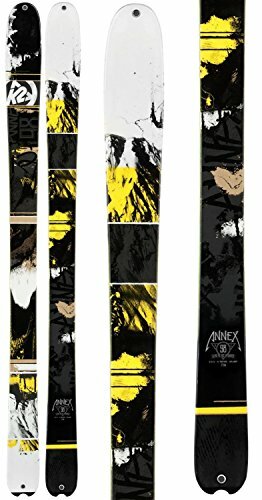 They are the best skis I have ever skied on in my entire career. 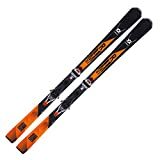 They have an air filled tip, that you can see light shine through, to aid flotation over powder, yet they perform like race skis on the groomers and powder skis off-piste. With a 50/50 camber/rocker split allowing such versatility. 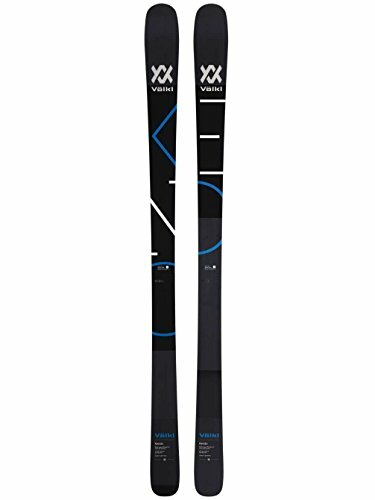 They are extremely lightweight, making them as fun as heck to ski while remaining stiff enough to really work. Although only really for the intermediate or advanced skier, by goodness what a ski! I have to admit, I, a staunch elite level para-alpine racer, have bought a pair. 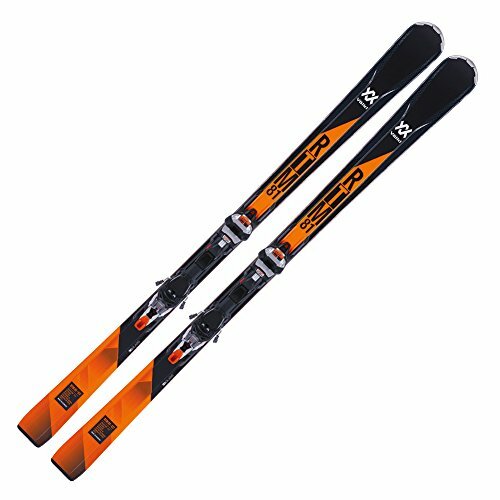 The Rossignol Soul 7s are by far the best ski on the market! 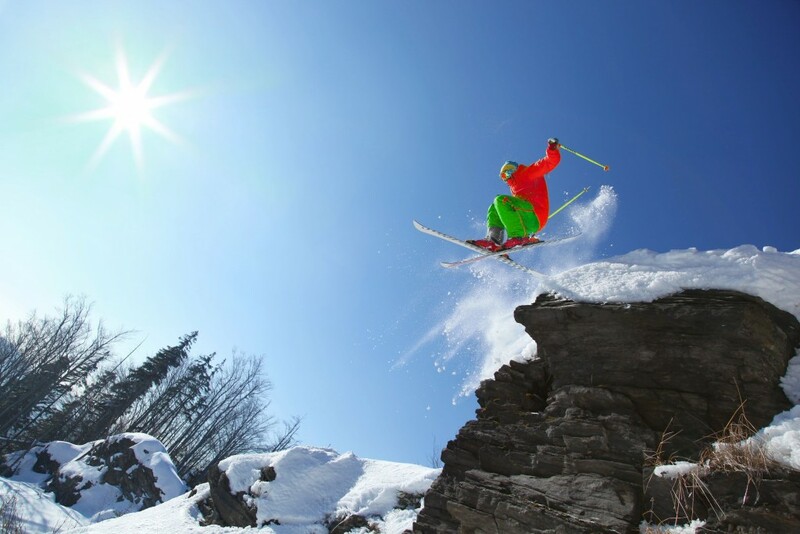 Whether searching for the thrill of speed or jumping for the sky an all-mountain ski may be just what you need. 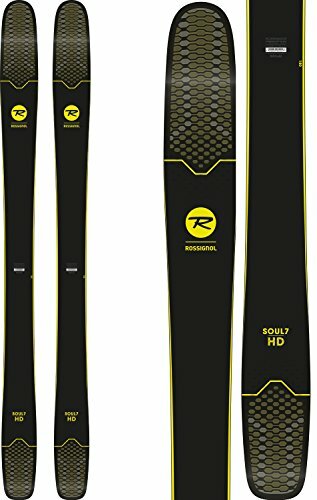 Although the best all-mountain skis for men is a tough category, I have to say; the Rossignol Soul 7s are clear leaders, so get out there and enjoy all our top ten!